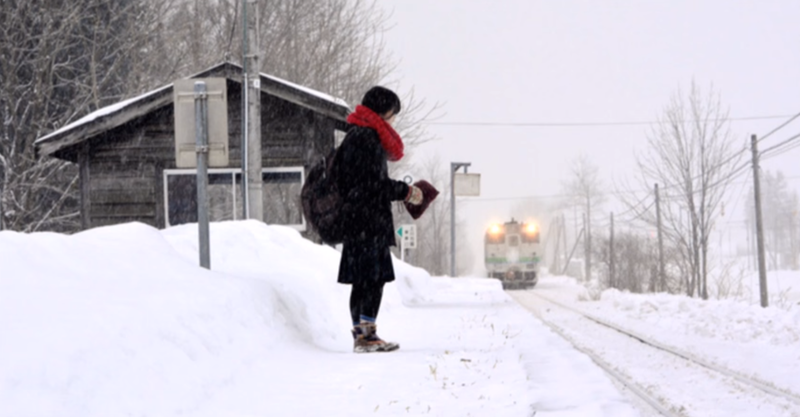 Know Why Japan Keeps This Defunct Train Station Running For Just One Passenger. “If you educate a girl, you educate a nation.” said Dr. Helene Gayle. Japan perhaps realizes this better than any other nation. 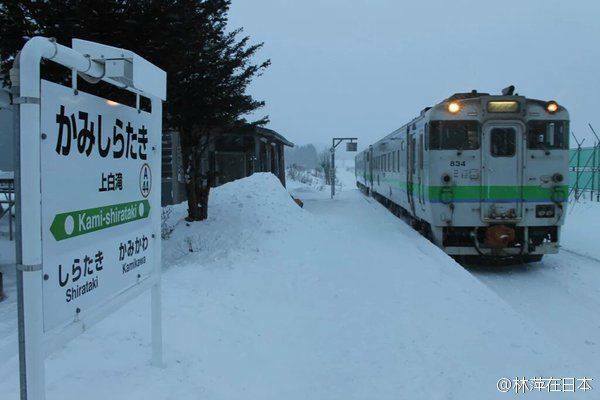 There is a defunct railway station (Kami-Shirataki) in Japan where a train stops just for one passenger. The passenger is a little girl who goes to her school by that train. Such is the commitment, such is the extra mile Japan is willing to take to ensure a girl gets her education. Japan Railways—the group that operates the country’s railway network—was made more than three years ago. 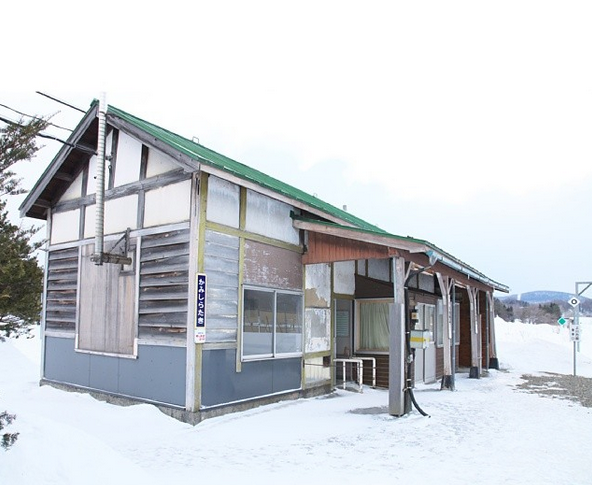 Passenger traffic at Kami-Shirataki station had dramatically fallen because of its remote location, and freight service had also ended there as well. Japan Railways was getting ready to shut down the station—until they noticed that it was still being used every day by the high-schooler. So they decided to keep the station open for her until she graduates. The railways released a specific schedule to cater to the single passenger girl. The train will cease to stop at the station after the girl completes her education. One comment on CCTVs facebook page read “Why should I not want to die for a country like this when the government is ready to go an extra mile just for me,”. Gestures with governance which reaches the last citizen is what makes Japan great despite how history has been cruel to them. We applauds the Japanese Government for this inspiring model of governance. A governance model which has given high priority to a girls educations. Many other countries including India could take a leaf out of this wonderful gesture from Japan and speed up the educational and social reform measures and ensure no girl is left behind. The Article was originally posted on Citylab. All of us dream of having a life that is impactful and forms a story that may one day be turned into a book or movie. The story of your life is made up of many elements that are also the fundamentals of success. Unless your life is impactful, no one is ever going to care greatly about your story. Your story is owned by you, and only you can create and determine how much impact it will have. Ask yourself the question right now, does your life have a significant impact? If it doesn’t, then it’s time to change it. It’s time for you to create something that everyone will remember you for. It’s time to turn that dream that you have always had into a reality. This all starts with a decision and often you need some major, painful event to trigger this desire. Think about the emotions you would feel if the majority of people respected you and were inspired by you. You would be on top of the world, and your life would have meant something. Your name will forever live on, and generations of people will live their lives in dedication to what you stood for. That sounds like a real vision, and that sounds like a common goal that we should all strive for. Below are the six ways to make the story of your life impactful. Life stories that have a major impact all involve someone doing something outstanding; something that no one thought was possible or that would ever be done. Have you done something outstanding already? If you haven’t, that’s okay, but start thinking about what major task you could achieve that would be outstanding. Start thinking about what you’re great at or what you could be great at. This first step is the most crucial and you need to decide on it before you proceed. There are so many people that never realise that they need to do something outstanding, so just this realisation alone can be empowering in itself. Given the size of this task, it’s not going to happen overnight. When you come to terms with what you are going to do, it will begin to manifest itself in your life. Doing something outstanding ties together passion, giving back, purpose, fulfillment, and many more success attributes that we have all heard before. The fact that doing something outstanding covers so many of these attributes is the reason why you should dedicate your life to this one task. Once you achieve it, then you have the very rare task of doing it all over again with a new task. Any great story involves some form of learning. Before you can teach other people something, though, you need to teach yourself first. I like to begin with lots of reading across a broad range of topics. This will give you the foundations of what you can teach others. For me, what I want to teach other people is all about self-development, entrepreneurship and how to reach success. This is no easy task for me but I have devoted a large amount of time to it, and I can see progress every week now. In the beginning, I didn’t see any progress but my mentors told me that eventually I would, and they were right. At the start, I was the student, but now I am becoming the teacher. Each day I get to teach people ideas I have learned myself and translate it into my own language. Google has meant that education and information is easy to find, but the real task now is for someone to curate and translate the information. It’s this translation of the learning I have done that allows me to create value. The language I speak in is unique, and the ideas are curated by my own mind. When you can begin to do the same thing, then you two can teach others (if you’re not already). I recently got the opportunity to work with a graduate. Initially, I wasn’t that excited about the task, but as things progressed, I realised that I had the chance to completely shape his career, which in turn, would shape his life. Anyone can do this and even if it starts with just one graduate, you have the chance to begin to make an impact. Once you establish your story and start to create an impact, it’s time to share it with others. This doesn’t just mean that you share the good moments with some happy Instagram photos – there is much more to it. The key to sharing your story is that it’s about being vulnerable, and sharing the negative moments and failures, and then balancing these out with the positive successes. As you share your story in this way, you will begin to compound the impact your story has on the world. There are many ways to share your story and I have found the easiest way is online first. As you become more comfortable in sharing your story, you can then start sharing it through video, and then later in person. With my own story, I am about to start sharing it on video, and then the next step will be through public speaking. I am happy to tell you though that I am not great at public speaking so expect to see me at a local Toastmasters shortly. If you are an expert in public speaking and can help, then feel free to reach out to me. The only way your story will have any impact is if it is directly hardwired to your dream. You will need to move every obstacle out of the pathway of your life and agree to live this dream no matter what. Even when all your close friends are out having dinner, there will be times when you will be required to not take the easy route, and not attend so that you can work on your dream. The temptation in these situations will be great which is why your own individual dream needs to be something you have thought about and truly care about. Your dream is linked to your passion, and when you are in a state of mind where you are doing something you love, you experience high levels of happiness. Happiness then becomes a fuel for your mind, and you subconsciously start to create your story and make an impact without even thinking about it. To make the story of your life impactful, it needs to contain some emotion. Emotion is what draws people in, and it’s what makes it your story. When it comes to the story of your life, the word impact really just means emotion. You can’t fake emotion in your own story. The more real and the rawer the emotion is, the more people will be drawn to it. If your story is full of made up elements, then people can spot the fakeness a mile away. As I have said before, your pain becomes your success, and your success is often determined by the impact you are having. There is nothing like seeing someone give it all they have got and sharing every amount of emotion they have with you. You get tingles down your spine; you feel unstoppable, and you want to spend more time with them. These are all things that our brains think about subconsciously all the time. If a thought pops into your head about something you are going to do, and you start thinking about what people will think of that action, just do it and don’t think twice. The chances are that if that action is something that you are worried what others will say about it, it’s probably because it has some form of emotion attached to it that requires you to be vulnerable. It’s these actions that you should commit to doing if you want to have an impact. The one element you have 100% control over when it comes to the impact of your life story is your mind (assuming you learn to control it). This is no easy task and so many people never master this art. It requires you to study some basic elements of psychology and really understand yourself. You need to work out what you love, what you hate, what motivates you and what stops you. If you practice this art form every single day, your brain becomes like a muscle and starts to grow. Your ability to make tough decisions becomes easier, and you’re drawn closer to your purpose. The people who have controlled their mind the best usually go on to become leaders in their field. From Warren Buffett, to Tony Robbins to the Dalai Lama; all of them live their life at the highest level. People from the outside will observe the way you control your mind and begin to be drawn to you because it’s such a rarity to have your mind under control and working for you, instead of against you. Everything I have just mentioned starts with a decision: a decision to be great, a decision to be the example for others rather than let your life waste away to something that no one will remember. Will you be the person who has the funeral that the whole world stops for, or the person whose funeral has less than twenty close family members there to see you off? How are you going to make the story of your life impactful? Let me know in the comments section below. Thomas Stearns Eliot (1888-1965) is considered one of the 20th century’s major poets. Also a playwright, essayist and literary critic, the Missouri-born poet became famous by works, such as The Love Song of J. Alfred Prufrock, Ash Wednesday and Murder in the Cathedral. He received the Nobel Prize in Literature in 1948, as well as an Order of Merit. Eliot almost had a way of seeing through things and delivering it in its wholeness to his audience. There are times when his poems are just the best friend you need.